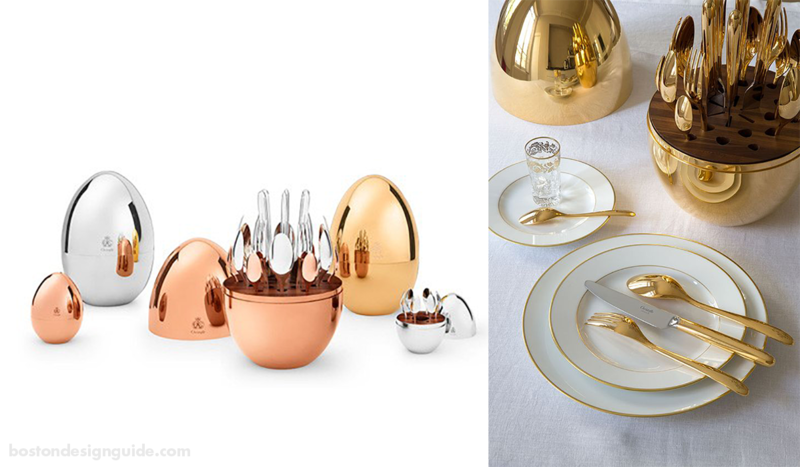 For the entertainer on your list, Christofle Paris has just the gift to bring sparkle to the table. The fine French silversmith joins two centuries of tradition with modern day luxury living with MOOD by Christofle flatware set and storage capsules. Flawless yet functional, these treasure chests have dark walnut interiors that house a 24-piece flatware set for six people—just the right size for that New Year’s Day brunch. Pricing varies by the metal: glimmering 24-carat gold is $12,000, silver plated is $1,190, and the combination 18-carat pink gold and silver plated rings in at $1,590. Available at Christofle. Artist Bob Hale’s wooden bowls, featured at Concord’s Three Stones Gallery, will delight those with an appreciation for nature and art. Hale takes an organic approach to his artistry, and hand turns pieces of found wood, like maple and crabapple, into beautiful and interesting vessels. He deliberately keeps his exteriors rustic—he is charmed by wood’s cracks and imperfections—but unearths beautifully smooth surfaces within. Most pieces are under $70. Available at Three Stones Gallery. Many people don’t like to splurge on bed sheets for themselves, and that’s the very reason linens make a perfectly dreamy present. Owner Nan Walsh of Hingham’s La Petite Maison believes that one’s bedroom should be a sanctuary and that premium linens are a wonderful luxury—day in and day out. 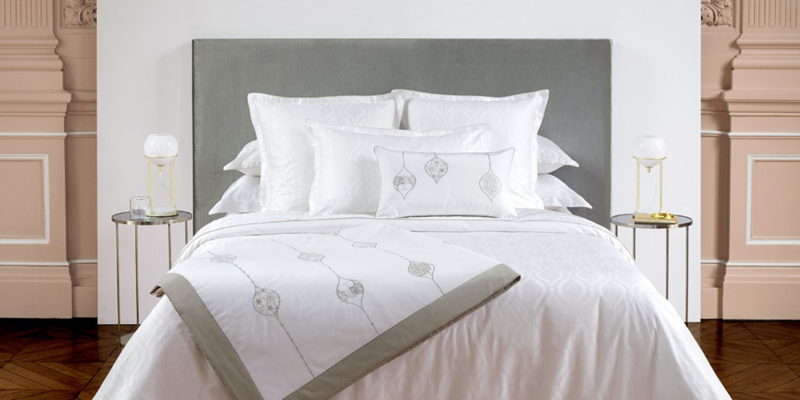 Yves Delorme linens, imported from France, are among her boutique’s best sellers. 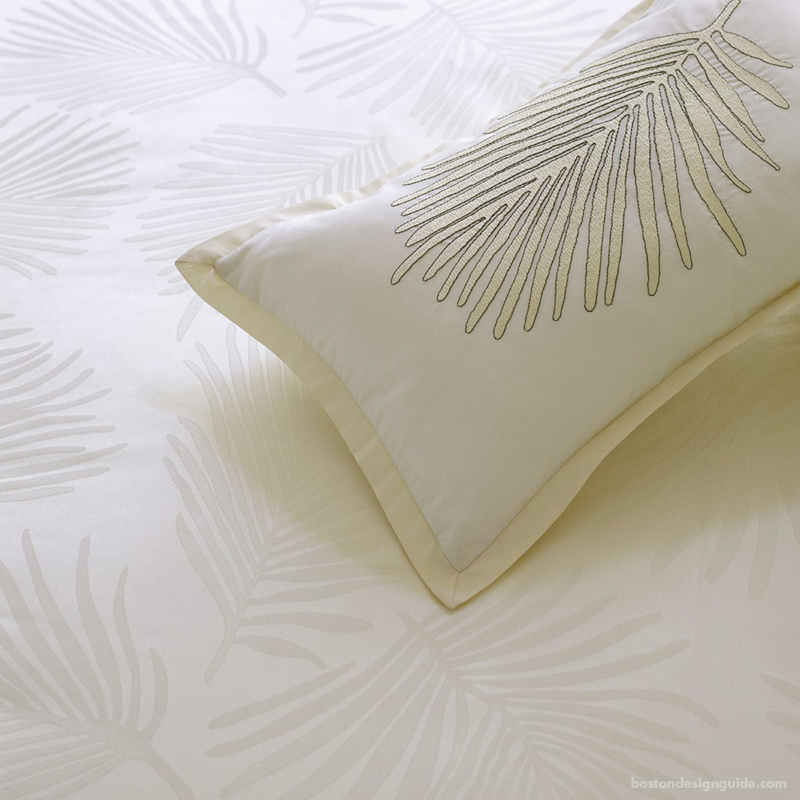 They’re exquisite for the quality of design in patterns like Palmbay, Palladio and Neve, as well as for their fine Egyptian cotton. $500-1150. Available at La Petite Maison. The holidays are all about wish fulfillment, and Darby Road HOME doesn’t disappoint. 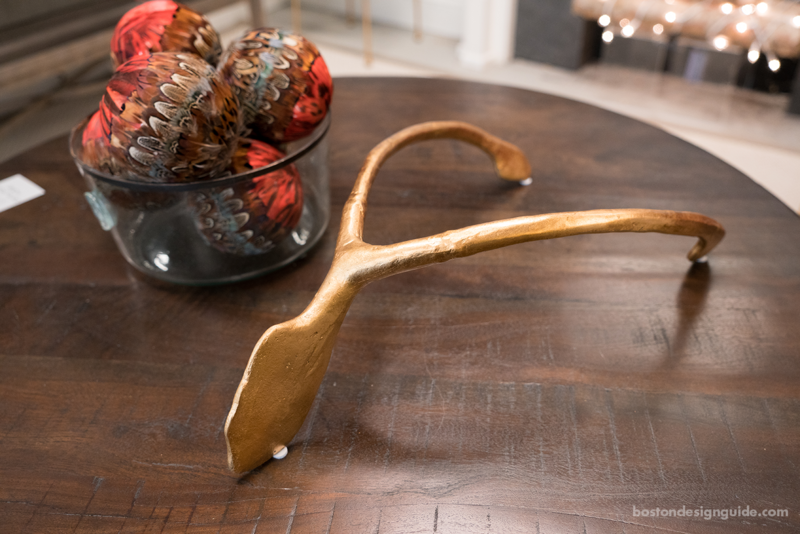 The home furnishings and accents store is brimming with a carefully edited collection of furniture, casegoods, fine arts and accessories, but we took a liking to a decorative golden wishbone. Sculptural as well as symbolic, this piece announces that you want the best for the recipient. Available in gold metal $149 and silver $29-39, and in large and small sizes, at Darby Road HOME. 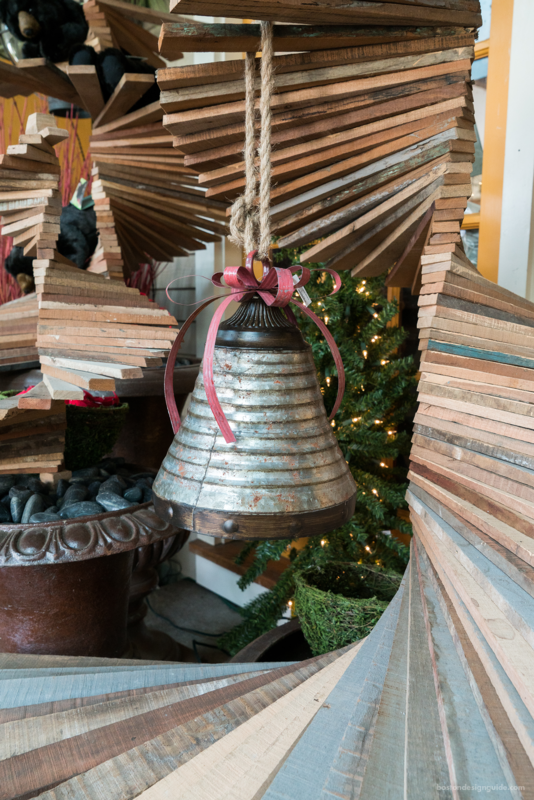 Silver bells shouldn’t get all the glory this time of year, not when Stonegate Gardens’ rustic tin bells add such character to a home’s exterior. Light and corrugated, the distressed bells look great solo or in a grouping, and bring woodland-inspired decorations a festive update and lodge feel. $29.99. Available at Stonegate Gardens.